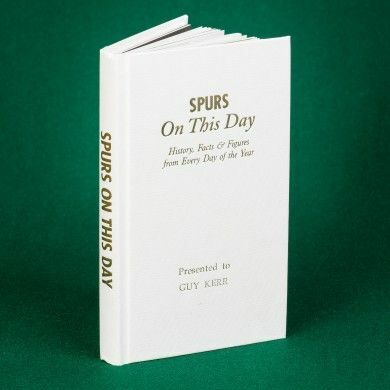 From 1st January 1930 when former Bury manager Percy Smith takes charge of Tottenham, to December 31st 2005 when Spurs beat Newcastle in a 9th win of a 10 win streak. Memorable moments in history are recorded in this handy little book. 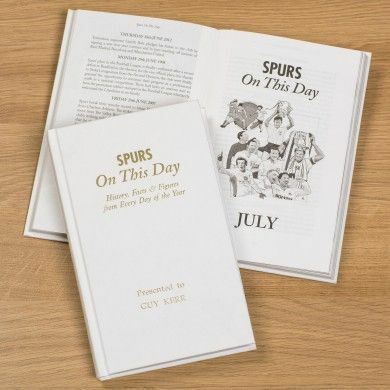 181 fact filled pages mean that every day of the year has at least one nugget of information about Hotspurs’ past victories and events. Give the footie fan in your life a nostalgic read. Whether he reads it to brush up on his facts before a big game, wants to know what memorable things happened on his birthday, or thumb through a quick read whilst on the loo. Fans won’t know how they did without this book, and with their name embossed on the cover it makes the perfect gift for any occasion, whether it’s a stocking filler at Christmas for the man in your life, or a Birthday present for your colleague. Cover colours may vary. Our Football books are unofficial products, and are in no way affiliated with any football club.